"Polka will never die." That's how terrified little coroner Waldo Butters keeps his courage up while tagging along with wizard-detective Harry Dresden, who's lumbering through Chicago on the back of a zombified Sue the T. Rex in a memorable scene from Jim Butcher's Dresden Files series. Butters is playing his one-man-band polka suit at the time, because the giant zombie needs rhythm to keep it animated and moving. That's probably also the chant that's kept Don Hedeker so very animated and moving all these years; the guitarist, songwriter, and superfan has gone through some dark times, but the energy of his punkified Polkaholics seems to provide him irresistible momentum. While the Polkaholics really are a sublime party band, their masterpiece is actually a thoughtful study on dedication and fame: 2009's Wally! is a polka-rock opera about the great Li'l Wally, 1930-2006, the local polka king who helped to invent the Chicago style, rocked the old "Polish Broadway" of Division Street for decades, and performed for Pope John Paul II in 1984. 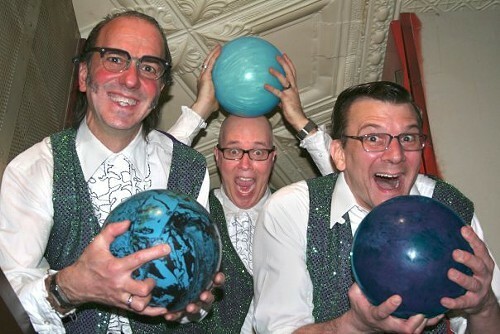 (Li'l Wally also played a show with the Polkaholics at the famous and long-lived Zakopane Lounge in 1999.) 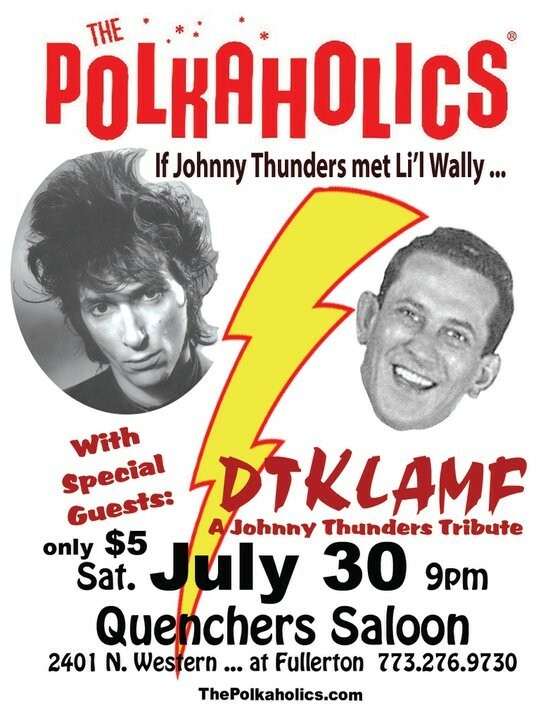 On Sat 7/30 at Quencher's, the band will play Wally! in its entirety for the first time since its release. Not a polka fan? You still might enjoy the opening act, DTKLAMF—Hedeker's Johnny Thunders tribute band. Though I wouldn't write off the possibility of a polkified version of, say, "Chinese Rocks." Not only will polka never die, in Chicago it has a tendency to get into everything.